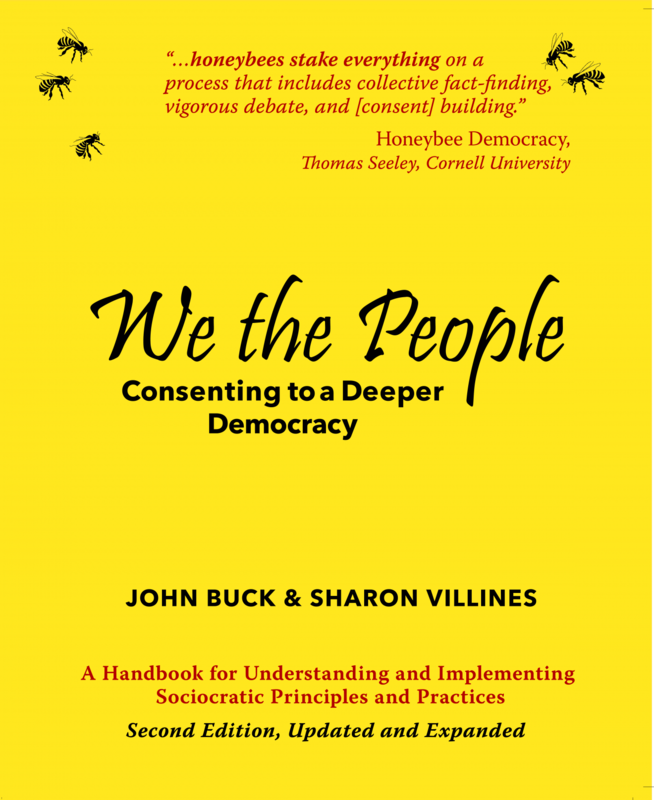 Since the publication of the first edition in 2007, We the People has become the definitive handbook for learning about sociocracy and its method of collaboratively designing and organizing successful organizations. The principles and practices are designed to ensure that all members are respected so the commitment of everyone in the organization is enhanced. 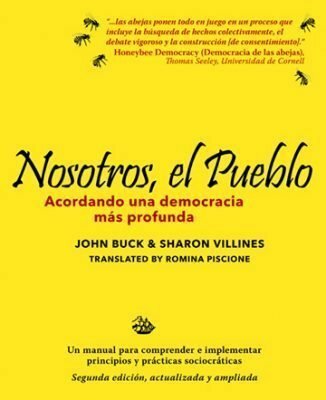 The Spanish edition, Nosotros, el Pueblo, Acordando una democracia más profunda was translated by Romina Piscione of RPP Translations. It is available from the ebook sellers listed below. 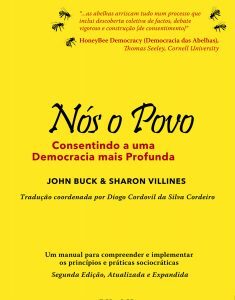 The Portuguese edition, Nós o Povo, Consentindo a uma Democracia mais Profunda was translated by a team of translators coördinated by Diogo Cordovil S. Cordeiro. It is available from the ebooksellers below. We the People includes a number of resources not available elsewhere: “how to” information, reprints of historical texts, short guides for meetings, a glossary, and a selected bibliography. The print edition is fully indexed. Many more photographs, diagrams, charts, and tables. Searching for the book in online databases is complicated. After months of complaints about online booksellers not carrying the book, I spent a day—yes, all day—searching online bookstores for each of the four versions. Since the title “We the People” is common and the name “John Buck” is far from unique, I have suggested that people search for the book by its ISBN or “Villines.” However, complaints persisted. After visiting each site and searching for each title, I discovered there is no one way to find the book. Even on each of the Amazon stores around the world, one keyword doesn’t work but another one does. The ISBN doesn’t either. “Villines” returns no items but “Sharon Villines” will find six or seven. “We the People” won’t work, but elsewhere “We the People: Consenting to a Deeper Democracy” works for all three language versions. Or it only works for the English edition and the Spanish and Portuguese versions have to be searched by their titles. In some countries, the authors may not be listed at all, only by the translators. It’s not so easy as I thought. The English, Portuguese, and Spanish translations are available as indicated below, but as availability grows, a Google search on the full book title will may you find other booksellers. ABE Books is a resource for finding new and used books from independent booksellers. They have a good search engine and service is predictably prompt and reliable. Powell’s City of Books claims to be the largest independent bookstore in the world, probably true. They have had almost everything I have ever looked for, used or new, but they don’t carry digital editions. Trainers, consultants, schools, and organizations can order 20+ copies of the English print edition at a significant discount directly from Sociocracy.info Press: Bulk Orders.